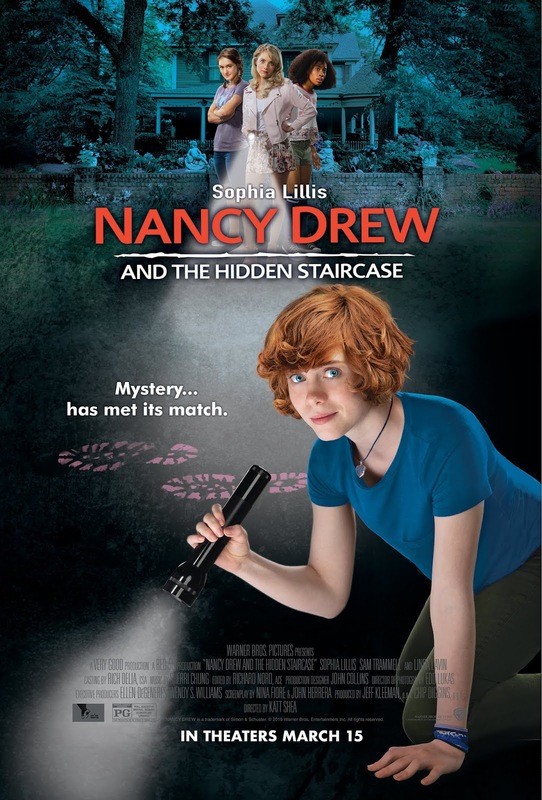 Uncover the Mystery In This All-New Clip As Nancy Drew And The Hidden Staircase In Theaters! After the death of his wife, Carson Drew decides to leave Chicago behind and make a fresh start with his daughter in River Heights. But for 16-year-old Nancy Drew, life in a small town is mighty dull. She longs for excitement, adventure, and the chance to make a difference. Nancy gets that opportunity when she is asked to help solve the ghostly activity at the Twin Elms mansion. Can she help explain the creaking footsteps, exploding lightbulbs and the ominous creature? Is it the handiwork of high-school bully Derek Barnes? Or is it possible that the ghost of original owner Malcolm Colfax is back for revenge? Recruiting her best friends George and Bess, along with local “mean girl” Helen,Nancy Drew is on the case!